Thousands of music (and fun) lovers gathered together for this two-party in Oxford last May ‘Summer bank holiday’ weekend. There is something for everyone and a part from initial queues complaints (a part of our national psyche) the whole festival was just really well organised with everyone having a huge smile on their faces throughout it. About 15,000 people attended each day enjoying over a dozen bands including headliners Duran Duran, Soul 11 Soul and Primal Scream. UK & Internationals bands got the music started each day; Duran Duran, Katy b, Soul II Soul, Jamie Lawson, The Cuban Brothers, Chas & Dave etc kicked things off Saturday while Primal Scream, Craig David’s TS5, Public Enemy, Gaz Coombes, Ghostpoet, The Sugarhill Gang, Lady Leshurr & many more got their turn on Sunday. 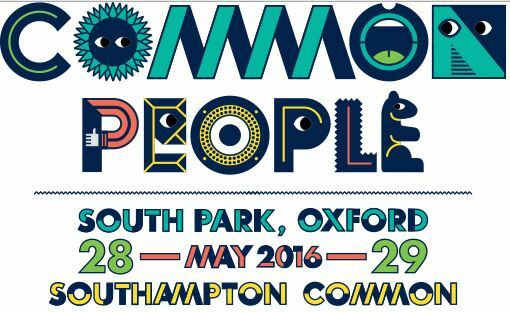 Common People is fairly new in the world of music festivals – still with it being organised by the same team as Bestival, you just knew that the acts were chosen carefully by everyone involved including DJ Rob Da Bank. They brought a diverse line up and I think for me and all the guys, that’s the true heart of this festival. Katy B’s presented her fusion of dance and pop sounds that has been dominating the charts for sometime – she was surrounded onstage by backing dancers, joining them in pumping out an energetic, high-intensity routine, it was easy to see why the fun-loving Londoner had been put so high up on the bill and it looked like a fair few fun-loving Londoners turned out to cheer her on. Her instantly recognisable tracks (specially for younger crowds) provided a perfect opportunity for everyone in the audience to dance – which they did in abundance. It’s great to see an artist bringing such a feel-good atmosphere to the festival. Admittedly, Craig David’s singing over a DJ’s backing track is never going to feel particularly inspiring. Whatever doubts me & our team may have had about him we’ve had to put aside– an entertaining and engaging performer still, 16 years on from Born To Do’s release. The singer had nostalgia thick in the air as he sung over “Fill Me In”, “Rewind”, and “Walking Away”, really enjoyable. As headliners, it is safe to say that Duran Duran and Primal Scream are well past their best. Their sets were fun, but Rob Da Bank’s choice to have them fill his headline slots was not adventurous. Nonetheless, the old-school nostalgia that these safe-bets brought to South Park made up a lot of the charm of the whole weekend. It bought a lot of diversity in terms of it’s appeal and having two bands that have played the festival circuit time and time again perform their well-known anthems is actually helpful in designing a festival that is new, diverse and largely unheard in the current British music climate. But both 80s bands got the crowd roaring and moving as much as any other, and after a sun-blessed free-styling weekend, that’s all you could ask for. Between sets attendees had lots of things to do and one of the most popular areas was the ‘Uncommon Stage’ where I surprised with the quality on show throughout the weekend and the Kids’ Area where my daughter & myself played with giant bubbles, face painting, drawing, crazy inflatables, clown shows, headline circus performances for children, mini circus and circus skills with apparatus for everyone to have a go on. So hands up in the air for this festival that really is providing something for everyone.